On Saturday evening during the Grand Prix, we got to meet one of the most amazing little boys, Ben. Ben is blind, but was SOOOO excited to be at the show! Even though he could not see what was going on, he was cheering on the riders and whooping and hollering louder than most everyone else. It’s the little things like this, that remind us what the show is all about. Thank you to Candlelighters Houston for introducing us to this incredible little boy and his family. Pin Oak is proud to support Texas Children’s Hospital & Candlelighters Houston! 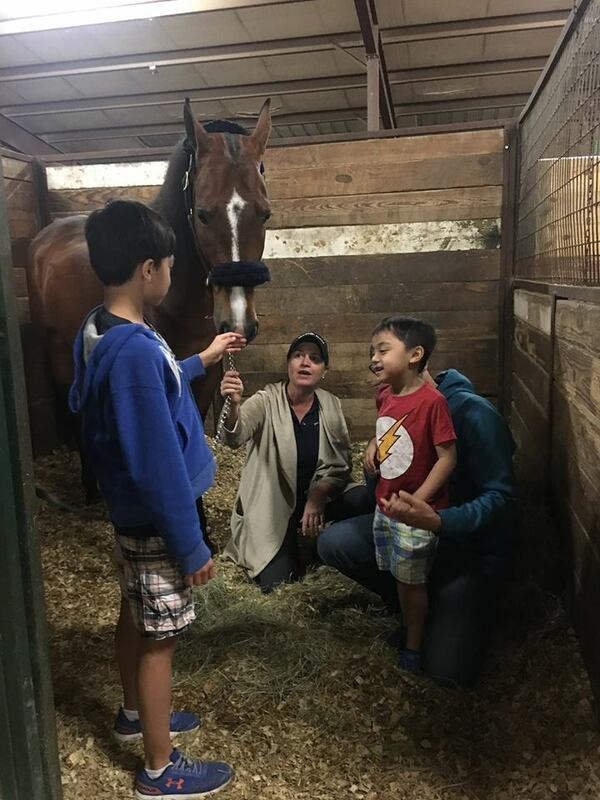 The generosity of your sponsorships, donations and Pin Oak Boutique purchases go to helping support these families. Thank you! The 74th Annual Pin Oak Charity Horse Show wrapped up Week I, March 20-24, at the Great Southwest Equestrian Center in Katy, Texas. The action-packed schedule included Hunters, Jumpers and American Saddlebreds, sponsored by Bluebonnet Farm, taking centerstage during this prestigious USEF Heritage horse show. This year, Pin Oak offers Premier Hunters and the USHJA World Championship Hunter Rider competition Weeks II and III, three USHJA International Hunter Derbies with $90,000 in prize money, three USHJA National Hunter Derbies, sponsored by the Baggett Family, Booth Show Jumpers, Brookside Pine Farms and Walsh & Albert with $35,000 in total prize money. There are five Grand Prix events, sponsored by Oasis Petroleum/Amalaya Investments, The Hildebrand Fund and Wells Fargo/Abbot Downing, Irish Day Farm and Walter Oil & Gas Corporation, as well as two U25 events sponsored by Summer Hill Farms and Fab Finds by Sarah. 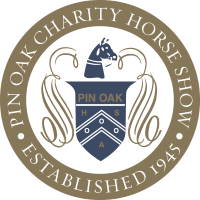 Pin Oak also sends out a big “thank you” to the ring sponsors for this year: Irish Day Farm, Memorial Park Hunters and Saddle Shoppe. In the first week’s featured grand prix, Daniel Bedoya and Quattro topped the field in the $30,000 Oasis Petroleum Grand Prix on Saturday night before a packed house. Sixteen competitors tried their hand at the first-round course designed by Manuel Esparza, with five competitors moving to the jump-off. In the end, Bedoya and Quattro posted the only double-clear performance of the night. Tiramisu, ridden by Trapp O’Neal and owned by The Eddyanne Ranch Family Limited Partnership, was the fastest four-faulter, receiving the red ribbon. Going fourth in the order with no clear rounds on the board, Bedoya knew what he had to do, and his plan worked to perfection. Bedoya, of Magnolia, Texas, and who rides for Bolivia, has had the 13-year-old Quattro since he was a 5-year-old. Bedoya and Quattro were Pin Oak’s Leading Grand Prix Horse and Rider in 2018 as well as 2015. Daisy Ford and her Gatsby finished fifth, which gave them the win in the $10,000 Under 25 Grand Prix, which ran concurrently, while Briley Koerner placed sixth with BKS Horse Farms, LLC’s For Jef VD Wezelse, earning her second place in the U25 section. 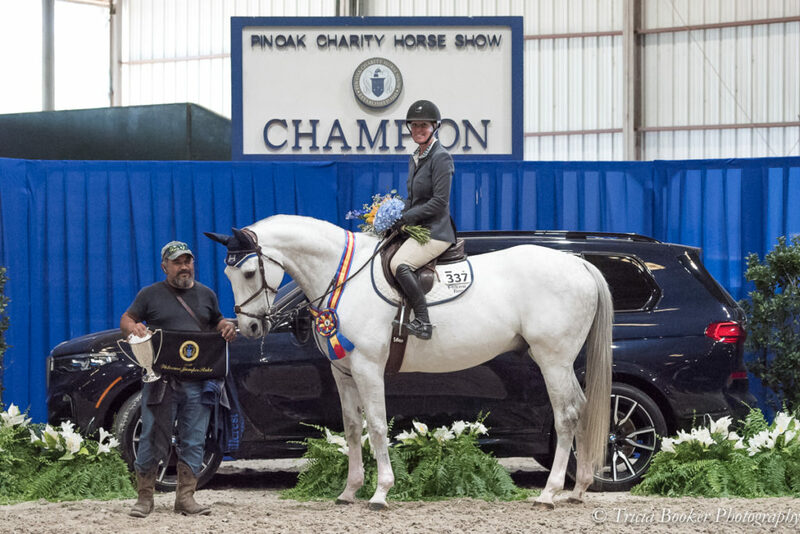 Julie Cleveland Beam, who piloted Anastasia Stewart’s Lancelot to victory in Thursday night’s $10,000 Welcome Stake, received the Grand Prix Style Award at Saturday’s event. Beam was pleased with Lancelot’s performance in the Welcome, because he arrived at Pin Oak and needed some time to settle. Beam went early in the class of 14 entries in the Welcome and had to wait to see if anyone could catch her jump-off time. Beam, of Hillcrest Farm in Argyle, Texas, has had the gray Lancelot for a little over a year and has carefully nurtured his talents as he’s gained confidence in the ring. “He’s been a project. He’s a very mental horse, and he is very dependent on his rider, so he looks to you to help him. But he’s really starting to come into himself, and I’m really pleased,” she said. In the featured $30,000 USHJA International Hunter Derby on Friday night, Jennifer Alfano once again led the victory gallop. This time, however, it wasn’t aboard one of her past derby veterans, such as Jersey Boy or Miss Lucy. Instead, Alfano piloted a complete rookie named Capriati to the top placing. 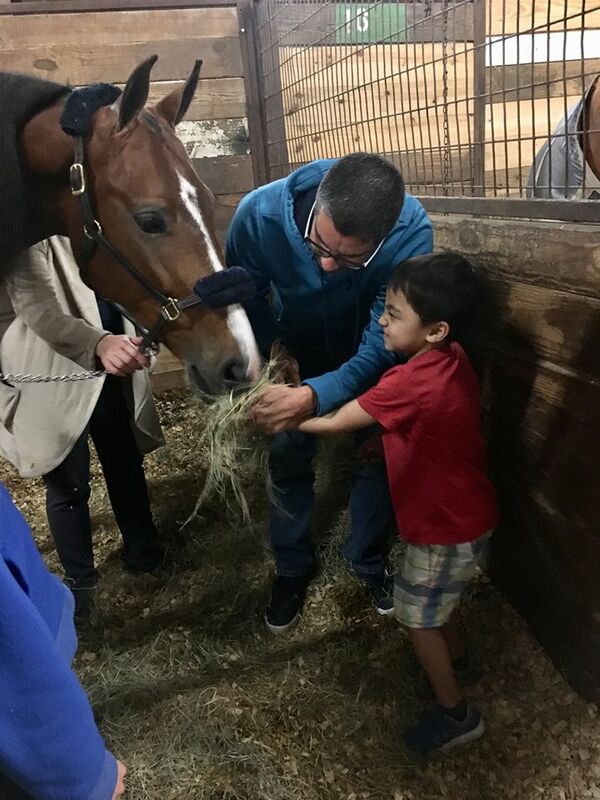 “There were a lot of firsts for Capriati (nicknamed J.J.) this week—it was his first show as a hunter, his first show in the United States and his first Derby and his first win,” said Alfano of the 13-year-old chestnut warmblood. Alfano, of Ocala, Florida, registered Capriati with the USEF on Tuesday and started him in the 3’6” Green Hunters at Pin Oak on Wednesday, since in his former life he’d been a 1.45m jumper. Alfano and J.J. topped the card in the Classic Round and then repeated for victory in the Handy Round for the overall title. After the first round, Alfano figured there was no need to be cautious, so she went in to cement the victory. Symbolic, owned and shown by junior rider Bella Kay, was seventh after the Classic Round and posted a superb Handy Round to vault up to second place overall. Kay also excelled in the equitation ring. 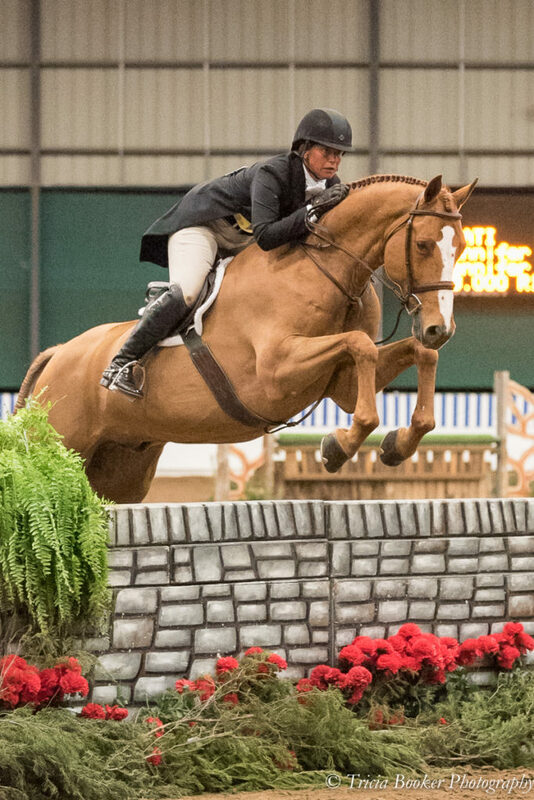 Aboard her SWS Questionnaire, Kay won the WIHS Equitation Hunter Phase, the Dover/USEF Hunter Seat Medal and the Platinum Performance USEF Talent Search class. Friday’s Derby Day at Pin Oak also included the Brookside Pine Farms $10,000 USHJA National Hunter Derby in the afternoon. Jessica Law rode Krunch, owned by Jana Arnoldy, to top honors over a sprawling course designed by Alan Lohman that was set in the Memorial Park Hunters combined Mega Ring I and II. Alfano guided All Ferraris LLC’s Enzo W to second place, and Natalie Geller rode Beluga LLC’s Can’t Buy Me Love to third. 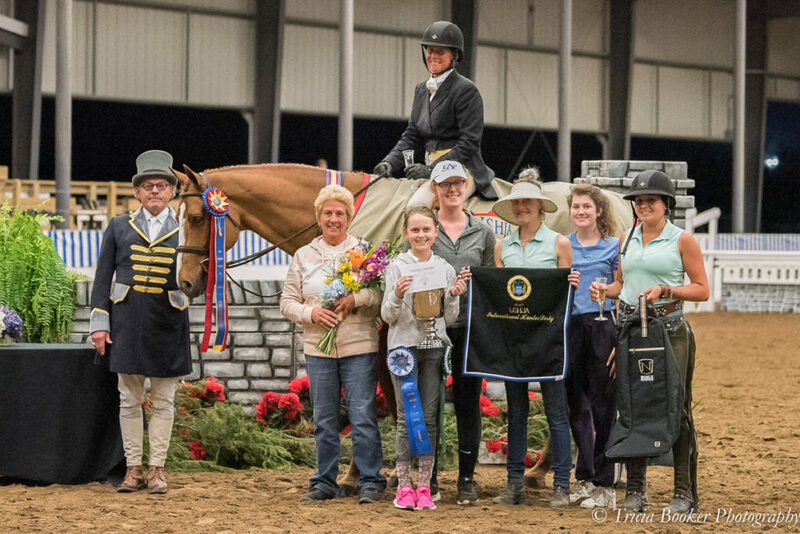 Champions and Classic winners went hand-in-hand this week, with Greetings and owner/rider Haley Hammer winning the 3’6” Junior Hunter Classic and the tricolor in the 3’6” Junior Hunter, 16-17, section. 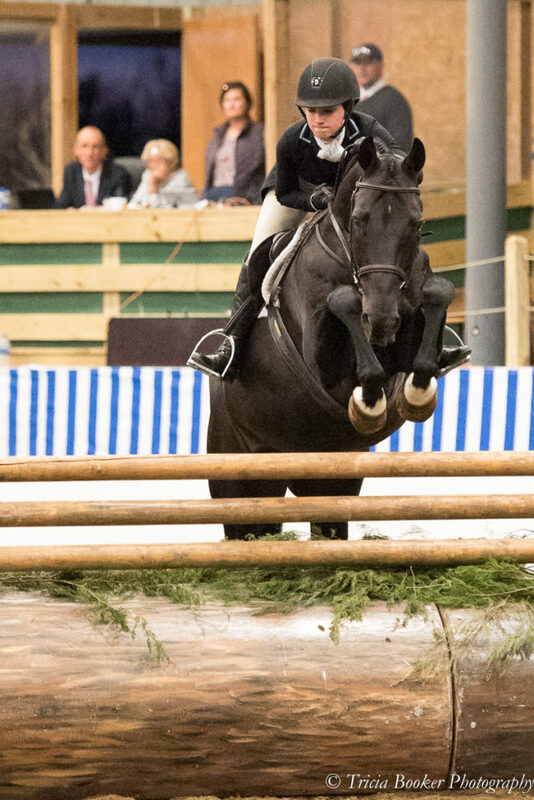 Likewise, MTM Inside Scoop, owned and ridden by Didi Mackenzie, topped the 3’6” Amateur-Owner Hunter Classic and earned the 3’6” Amateur-Owner Hunter championship. A clean sweep went to Wesley Clingman’s Deluxe, shown by Courtney Lenkart. The pair captured every blue ribbon in the 3’3” Green Working Hunters and, as icing on the cake, took two more as the winners of the USHJA 3′-3’3″ Green Incentive Stake and the Texas Green Hunter Super Stake. Lenkart has had the ride on Deluxe for about a year after Clingman relocated from Atlanta to Dallas last spring to attend Southern Methodist University. Lenkart, who won the USHJA 3’-3’3” Green Incentive Program 2018 National Leading Rider Award with $32,975 in earnings, has high hopes to continue her momentum this year. She has several promising Green hunters coming up the ranks, with Deluxe already winning several Incentive classes. 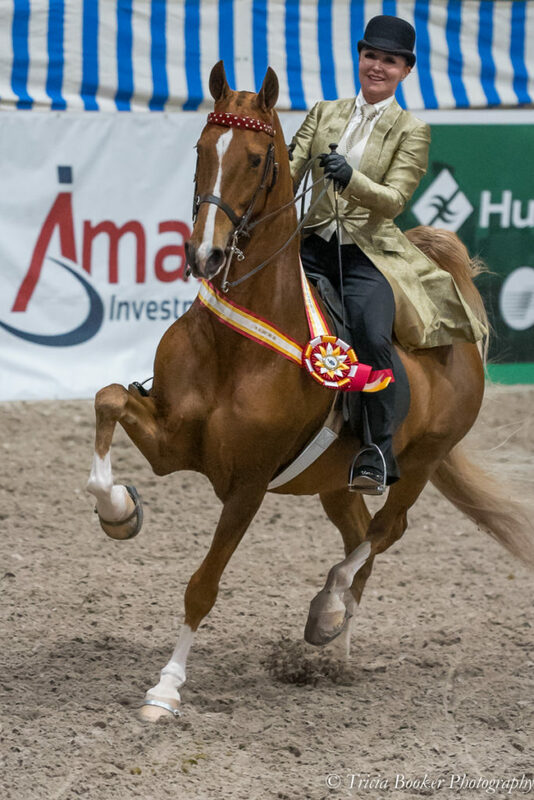 In the Hunter Breeding section, Rachelle Goebel’s Will Emblazon captured the 3-year-old class and Best Young Horse title under judge Linda Andrisani. The impressive bay Oldenburg (Willemoes–-Anastazia) was bred by His Cat Farm and handled by Goebel, of Montgomery, Texas. Will Emblazon comes from a line of successful Hunter Breeding horses, and his dam, Anastazia, was crowned Best Young Horse at the Devon Horse Show in 2004 and ’05. Will Emblazon placed third at Devon as a yearling and finished fifth in the USEF Horse of the Year standings and won the Zone 7 championship as well as the Texas Super Series grand championship. Goebel purchased Will Emblazon as a 5-month-old, and she and her sister, Felicia Carroll, have shown him together. He remains undefeated in 2019 and currently leads the USEF National Horse of the Year standings in the 3-year-old Hunter Breeding section. In addition to Pin Oak, Will Emblazon earned the Best Young Horse titles each of the four weeks of the Great Southwest Winter Series. During Week I, the American Saddlebred divisions, sponsored by Bluebonnet Farm, took their turn around The Irish Day Farm Main Indoor Arena. Chris Tresten, of Houston, Texas, claimed victory in the hotly contested ASB Three-Gaited Country Pleasure Championship. She rode her It’s Wing KA Hammer to an impressive performance over a field of nine competitors after also taking the ASB Three-Gaited Country Pleasure Adult win earlier in the week. Tresten, an amateur rider who trains with Milo Jones and Koren Mercer of Lone Star Saddlebreds, credited them for the successful transition of It’s Wing KA Hammer to a new division with some different challenges. Tresten also piloted Paul Mattson’s Ready Or Nut to victory in the ASB Three-Gaited Ladies class and then earned the reserve championship in the ASB Three-Gaited Stake. Michael Beasom also had reason to smile at Pin Oak. 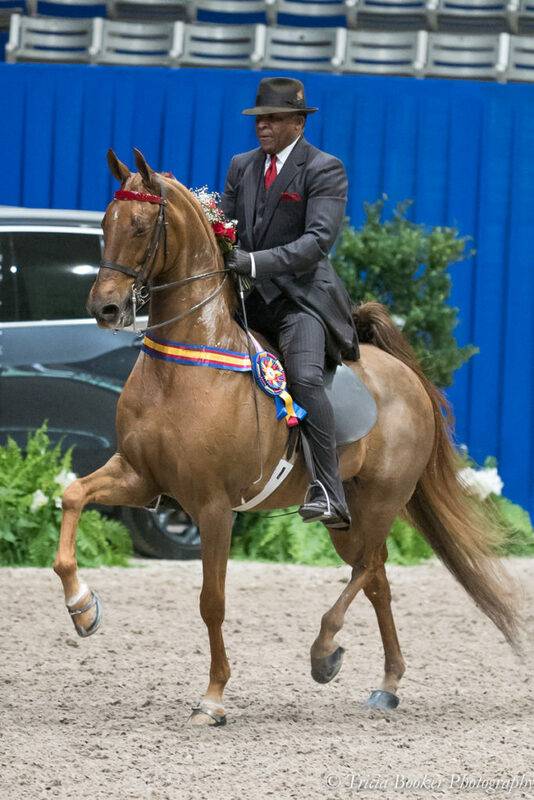 He captured the Three-Gaited Stake aboard Oak Hill Saddlebreds LLC’s The Rhumba after winning the ASB Three-Gaited Open class. In addition, Beasom collected a variety of top ribbons for Oak Hill Saddlebreds, including the Fine Harness Championship with Jack And Coke in a highly competitive class. He also trained Open First and Catherine Street to top honors in the ASB Five-Gaited show Pleasure Championship among others. In the ASB Five-Gaited Stake, it was Judy Stubblefield’s By Some Miracle taking the victory pass with rider Sandra Currier. The pair also topped the ASB Five-Gaited Ladies class. The Junior/Amateur exhibitors rode hard for their championships, as well, with Scarlett McDowell claiming the ASB Five-Gaited Amateur/Junior Exhibitor tricolor aboard Let’s Have Some Fun, with Currier training. Story Sinex bested a strong field to win the ASB Three-Gaited Amateur/Junior Exhibitor championship aboard Krista Sinex’s Fortunate Encounter, with Milo Jones training. 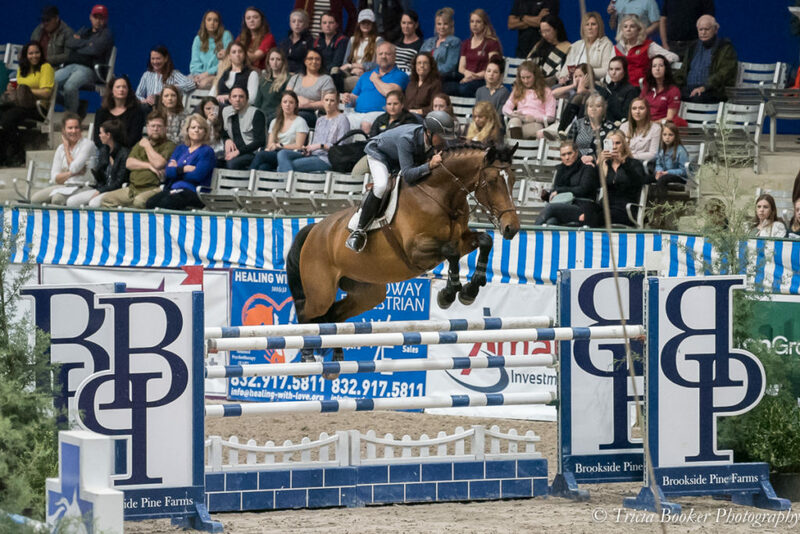 Katy, Texas – March 25, 2019 – Fun was had by all at Pin Oak 2019’s first Grand Prix, the Oasis Petroleum $30,000 Grand Prix, and Amalaya Investments Ringside Gala on Saturday Night. As is tradition at each of Pin Oak’s Grand Prix events, the Catalena Cowgirls, an iconic rodeo drill team of talented women and their paint horses, kicked off the evening with a fabulous performance. Sixteen competitors tried their hand at the first-round course, with only five moving to the jump off. The crowd held their breath as Quattro, owned and shown by Daniel Bedoya, took home the win with the only clear jump off round. 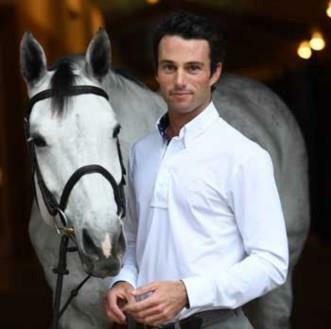 Daniel and Quattro were Pin Oak’s Leading Grand Prix Horse and Rider in 2018 as well as 2015. The pair also competed in the 2018 FEI World Equestrian Games. Tiramisu, ridden by Trapp O’Neal and owned by The Eddyanne Ranch Family Limited Partnership, was the fastest four-faulter, receiving the red ribbon. Daisy Ford and her Gatsby finished in fifth place, which gave them the win in the 1.45M Under 25 Grand Prix while Faces of Pin Oak rider, Briley Koerner, finished sixth in the Prix with BKS Horse Farms, LLC’s For Jef Vd Wezelse, earning her second place in the Under 25. Julie Cleveland Beam and Anastasia Stewart’s Lancelot, winners of Thursday night’s $10,000 1.45M Welcome Stake, received the Grand Prix Style Award at Saturday’s event. Prior to Saturday’s big event, complimentary massages were offered during the afternoon at the facility’s outdoor hospitality area, and The Shops at Pin Oak featured pre-event cocktails and a photobooth with fun Pin Oak props open to all. On Sunday, the final day of Pin Oak 2019 Week I included a delicious sponsor brunch, complete with mimosas and a Bloody Mary bar. Bella Kay aboard her SWS Questionnaire dominated in the equitation ring, winning the WIHS Equitation Hunter Phase, the USEF/Dover Hunter Seat Medal, and the Platinum Performance Talent Search. 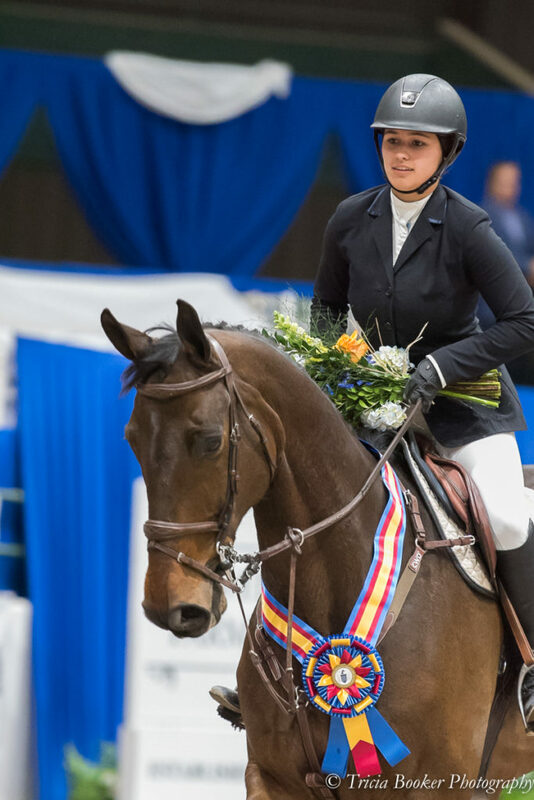 Portya Muenke took the blue ribbon in the WIHS Equitation Jumper Phase and the red ribbon in the USEF/Dover Hunter Seat Medal and the ASPCA Maclay aboard her Gerico. Elizabeth Nestor proved to be the highest scoring overall in the WIHS Equitation with At Last owned by Claire Azar. Elizabeth Nestor and At Last also took home the blue in the USHJA 3’3” Jumping Seat Medal. We spoke with Brooke Brombach following her win in the ASPCA Maclay on Spygate, owned by Show Hunters Investments. “I’m so happy with him. I was really looking forward to Pin Oak this year, especially following last year’s 3’6” Equitation Circuit Award, but I was concerned when a week before the show started I still hadn’t found an equitation horse to ride. Luckily, three days before Pin Oak, I found out that Spygate, an equitation horse I used to ride, was coming back from lease and being sent for me to show. He made it on Thursday evening, just in time!” The pair was also second in the WIHS Equitation Hunter Phase and third in the US Dover Hunter Seat Medal and the Platinum Performance Talent Search. Macy White aboard Viva’s Glory, owned by Joan Hensen, took home the blue ribbon in the Hamel NHS 3’3” Medal, and Victoria Zahorik and her own Kalisto were crowned the winners in the THIS National Children’s Medal and Reserve Champion of the Children’s Hunter 14 and Under. Khaki McCool and Kirby McCool’s Intrepido came out on top in the under saddle as well as both of Sunday’s Combined 3’6” Large Junior Hunter 15 and Under and Small Junior Hunter 16-17 classes, taking Champion in the division. “Today’s courses were very well-designed. I really enjoyed them, and my horse was perfect and jumping great,” Khaki said when asked about her wins. “We just started leasing him less than a year ago,” she explained of the 10-year-old Danish Warmblood. Central Park West owned and ridden by Jordan Cobb earned the Reserve Championship. Greetings and owner/rider Haley Hammer bested all the 3’6” Junior riders, winning the combined 3’6” Junior Hunter Classic and taking Champion in the 3’6” Junior Hunter 16-17. Symbolic, second in Friday’s International Hunter Derby, and Bella Kay were Reserve Champion. Gap Crown Horses, LLC’s Cassiopeia Cellestin, ridden by Kelley Buringa, and Chestnut Equestrian, LLC’s OTI, ridden by Ainslee Gregg, took Champion and Reserve Champion, respectively of the 3’3” Junior Hunter 16-17. Both horses are of Matt Cyphert’s, Faces of Pin Oak rider, Woodhill Farm. Luke Jensen and Jill Barnett’s Coraggio PF were Champion in the 3’3” Junior Hunter 15 and Under and took home the blue in the combined 3’3” Junior Hunter Classic. Children’s Hunter 14 and Under Champion Snickers owned by South Haven Farm while the Children’s Hunter Classic 14 and Under win was taken by Overture, owned and shown by Lola Hutchinson. The Children’s Hunter 15-17 tricolor was earned by Caswell owned and ridden by Sydney Murdoch while Jordan Gilchrist’s Kingston, piloted by Ella Frahm, took the win in the Children’s Hunter 15-17 Classic as well as the division Reserve Championship. At the pony ring, we caught up with McKayla Brombach who was on fire, earning the Championship on all three of her rides. Sunbeam, owned by Ticket to Ride, LLC and ridden by Carolyn Colter, took the Reserve Championship as well as the blue ribbon in the combined Pony Hunter Classic. McKayla was also Champion of the Medium Pony Hunters with Colleen Brombach’s Morton’s Sassy Kat. “I’m finally figuring out how to ride this pony. I’m so blessed to have her and to finally be getting consistent rides on her,” said McKayla following her clean sweep of the division. Alexandra Keath’s Glenhaven Pick Me, ridden by Clara Keath, earned the Reserve Championship. The girls shared their Championship photo following the division. McKayla’s third ride, Waltzing Matilda, owned by James Waldman, took the Championship in the Small/Medium Green Pony Hunter division. “This is only her second horse show,” McKayla explained, “I never thought we would be Champion. I was just super excited to get to show this new green pony when she came in for sale.” Carlysle Drosos rode her own Snoop Dogg to the Reserve Championship as well as the win in the WIHS Pony Medal. McKayla’s older sister, Brooke Brombach, took her share of the blue ribbons at the pony ring as well, riding Isabella Mullan’s Poplar Place Pied Piper to the Championship in the Large Pony Hunter division. Touch Of Class, owned and shown by Kate Stark, took Reserve Champion. The Large Green Pony Hunter Championship was earned by 14 Karat, owned by RGG Equestrian LLC and ridden by Reagan Gehm, while Martha Patterson’s Diplomat took the Reserve Championship. Sunday was ‘Classic Day’ in the jumper ring, where white breeches were in full swing. Take Two, owned and shown by Sydney Long, bested the Junior and Amateur Owner competition, winning the High Junior/Amateur Owner Jumper Classic as well as the High Amateur Owner Championship while Hannah Newton and her Athena were Champion of the Low Amateur Owner and winners of the Low Junior/Amateur Owner Jumper Classic. Hallie Rush’s HRS Fortuna jumped to High Junior Jumper Champion, and Learning To Fly, owned and shown by Frances Barham, earned the tricolor in the Low Junior Jumper division. Washington, owned and shown by Emma Flett, was Champion in the High Children’s Jumper division while Neon Trees, owned by Amanda Pierce and shown by Heather Cleveland, bested the High Adult Amateur competition in both the division and the High Adult Amateur Classic. Elaine, shown by Mia Gradick for SCNC Investments, Inc. took home the tricolor in the Low Children’s Jumper as well as the win in the Low Children’s Jumper Classic. Adeline owned and shown by Marissa Rose took home the Low Adult Amateur Jumper division Championship title. Riders are looking forward to another fun week of horse showing and amazing Texas hospitality at Pin Oak Week II. Thursday evening will feature the Trainers Equitation Exhibition benefitting Candlelighters Childhood Cancer Family Alliance. World Championship Hunter Rider recognition makes Weeks II and III of the Pin Oak Charity Horse Show the place to be for many hunter riders, who can expect to face stiff competition. Meanwhile, jumper riders celebrate Week II and III’s addition of the Thursday night $25,000 Grand Prix to the already enticing schedule of jumper events. Briley Koerner believes in the importance of connection—both with horses and people. She started riding at six years old, and still thinks of her first trainer, Kim Cox of Tally Ho Farm, as one of the most influential people in her life. “Mrs. Kim taught me the ropes,” she says. Her horses, too, have taught her a great deal. “Every horse I’ve ever owned or ridden has definitely helped make me the rider I am today,” Briley says with gratitude. Her family, including older brother Barrett who shares all of her successes on Facebook, and grandparents who have supported her in this challenging sport, have helped foster that sense of connection as well. Briley’s career as a young rider includes many great many successes in the past two years. 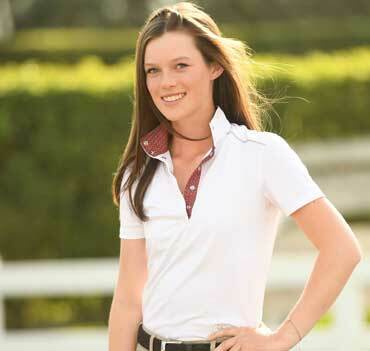 In 2017, she won the NAJYRC Zone 7 team gold and individual bronze; the Prix Des Stats zone 7 team gold; and was in the top 25 at the Maclay Finals. In 2018, she won the Prix Des States Zone 7 team gold and the $25,000 1.45m Welcome Stake at the Hampton Classic Horse Show on her own For Jef Vd Wezesle. For Jef Vd Wezesle or Seth, as he’s known around the barn, holds a special place in Briley’s heart. “If there’s one horse who has impacted my riding the most, it would be Seth,” she says. The horse is undeniably talented, and they make a great team, earning three gold medals during her junior career. But he’s special to Briley for other reasons, too. Briley suffered tremendous loss when her brother Brody died on July 28, 2017. Upon hearing this, Seth’s previous owner, Natalie, called Briley to express her condolences and also tell her the story behind the horse’s name: Natalie’s brother, Jef, also passed away unexpectedly. She named the promising young horse after him. “That made me feel closer to my brother,” Briley says. Her trainer, Martien, has taught Briley about connection, figuratively and literally. He encourages her to make connections between flat work and jumping. 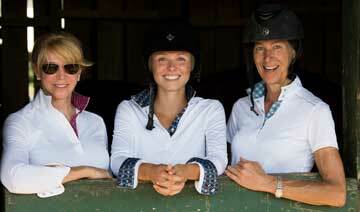 “There has to be a purpose behind what I’m asking my horse to do,” she emphasizes. She also thinks fostering that genuine connection in the leg-to-hand sense is important. “I think we all as riders get caught up depending on draw reins and martingales for our flat work,” Briley says. Flat work and pole work are important, because they’re the foundation of the big jumper classes. Working to develop a good canter with the right balance is critical. Competition is in her bones, and Briley is one of the rare people who doesn’t get nervous competing. “I tend to do a bit better under pressure and when competing in front of a big crowd. As a junior my trainer Martien was sure to expose me to different venues like grass rings and small indoors and I think that definitely helped,” she says. Briley’s dreams are big, but her talent, work ethic, and support system are too. Watch for this gifted young rider this year. 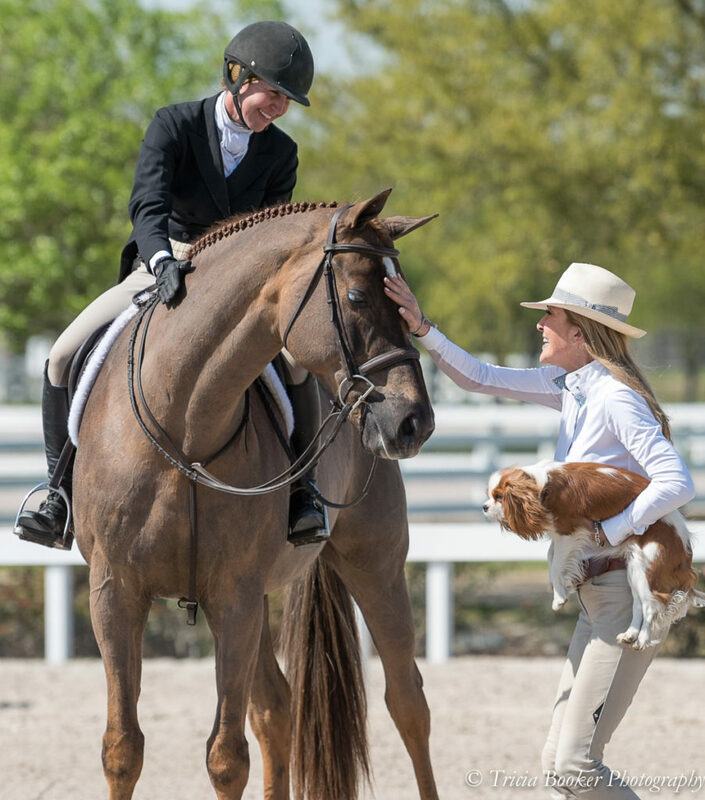 Katy, Texas – March 23, 2019 – Thursday and Friday at the 2019 Pin Oak Charity Horse show were jam-packed with fun and excitement as the show’s top competitors showcased their skills in both the jumper ring and the hunter ring. Thursday afternoon, sponsors enjoyed the Bedoya Training Ringside Reception hosted in the Yellow Rose Whiskey Sponsor’s Club during the $10,000 1.45M Welcome Stake. Lancelot, owned by Anastasia Stewart and shown by Julie Cleveland Beam, took home the top honors while Kierland Farm’s Fourtina and Trapp O’Neal came in a close second finishing less than a second behind Lancelot in the jump off. BKS Horse Farms, LLC’s For Jef Vd Wezelse and Faces of Pin Oak rider Briley Koerner finished fourth in the Welcome Stake and bested the under 25 competition taking home the 1.45M Under 25 Welcome Stake win. Meanwhile in the hunter ring, Wesley Clingman’s Deluxe, shown by Courtney Lenkart, took home all the blue ribbons and was Champion with a clean sweep in the 3’3” Green Working Hunters as they continued Wednesday’s winning streak. The pair was also the winner of both the $1,000 USHJA Green Incentive Stake and the $2,500 Texas Green Hunter Super Stake. The amateur hunter competition wrapped up on Friday afternoon. Who Dat owned by Maura Harrower and piloted by Rachel Campbell was Champion in the Adult Amateur Hunters 18-35. The day prior, Who Dat was also crowned Champion of the combined High Performance/3’9” Green Working Hunter with Sarah Rice. 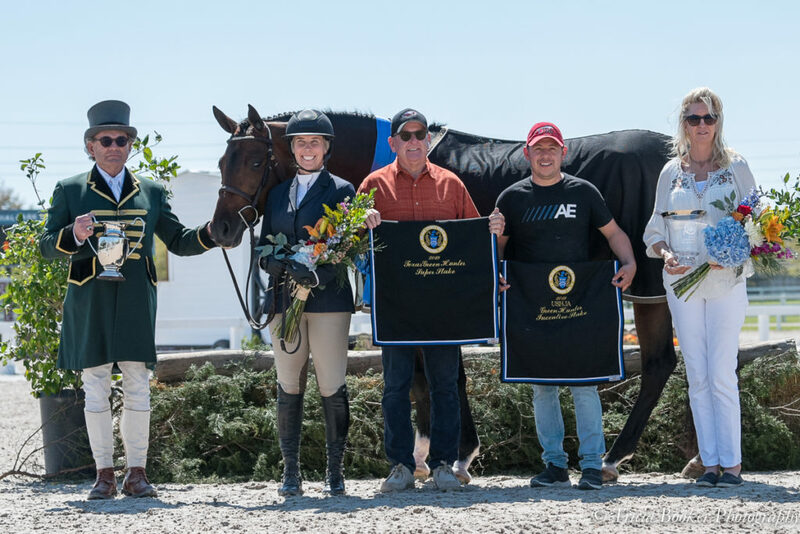 The Adult Amateur Hunter 36-49 Championship was earned by L&W Equine Investments, LLC’s Echo Park ridden by Mercedes Flett, and Lightful, owned by La Primera Hacienda, LP and shown by Angela Dominguez, took home the Championship in the Adult Amateur Hunters 50 and over. MTM Inside Scoop, owned and ridden by Didi Mackenzie, was Champion of the 3’6” Amateur Owner Hunters also taking home the blue ribbon in the $1,000 3’6” Amateur Owner Classic while Kathy Chiaf’s Sweetwater earned the tricolor in the 3’3” Amateur Owner Hunters. 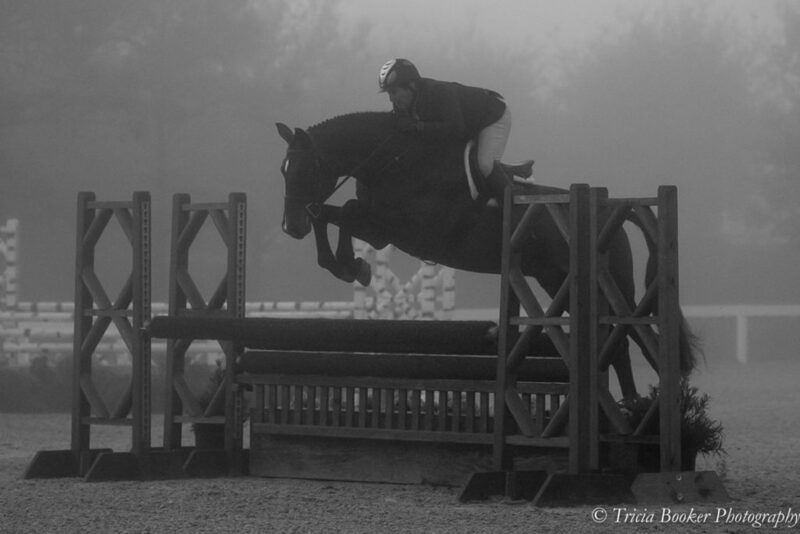 Friday was ‘Derby Day’ at Pin Oak 2019 with the Brookside Pine Farms $10,000 USHJA National Hunter Derby in the afternoon. The $30,000 USHJA International Hunter Derby ran in the evening, accompanied by a ringside Churrasco International Derby Welcome Party and dinner. 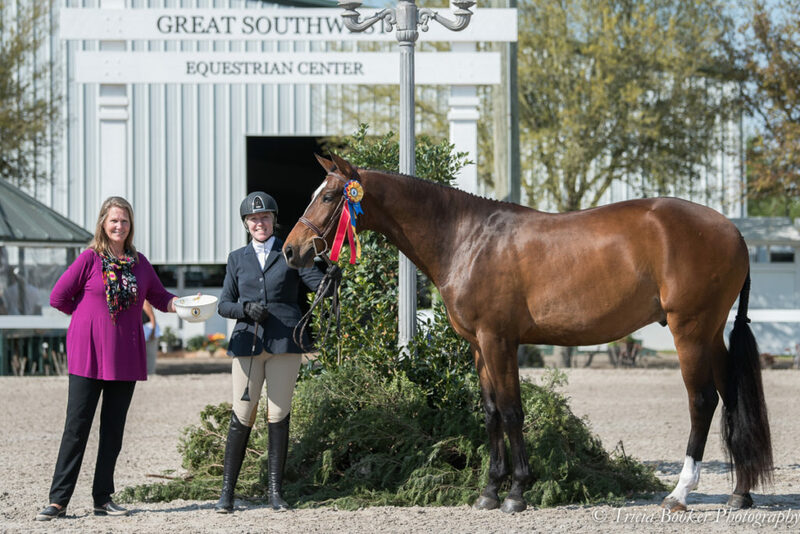 Under Friday afternoon’s blue skies and perfect springtime weather, Jessica Law rode Krunch, owned by Jana Arnoldy, to win the Brookside Pine Farms $10,000 USHJA National Hunter Derby in the Memorial Park Hunters combined Mega Ring I and II. Jessica, Jana, and her adorable fleet of Cavalier King Charles Spaniels were ecstatic over the win. Jennifer Alfano and All Ferraris, LLC’s Enzo W took second in the National Derby as well as the Championship in the 3’3” Performance Hunters. 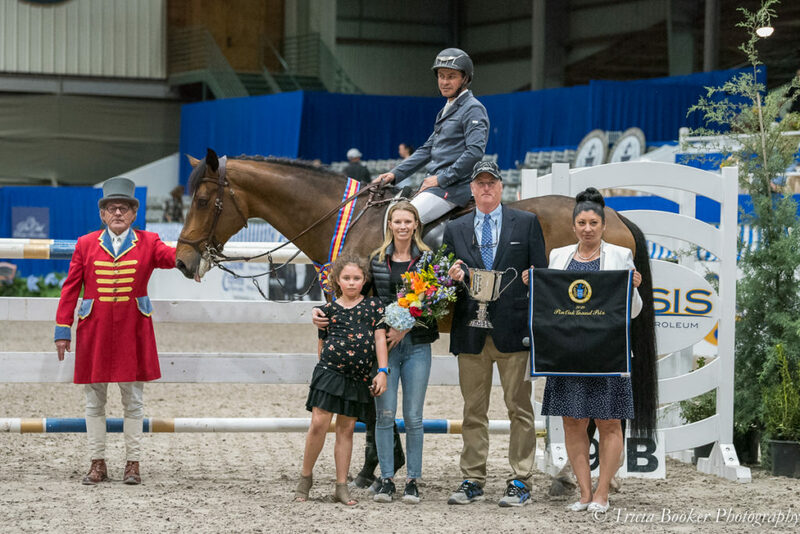 Capriati, owned by Jennifer Alfano and John Jamieson and ridden by Jennifer Alfano, jumped to the top prize amidst fierce competition in Friday evening’s $30,000 USHJA International Derby, winning both the classic and handy round. Symbolic, owned and shown by junior rider Bella Kay, was placed seventh after the classic round and excelled in the handy round, bumping the pair up to second place. DS Holdings, LLC’s Carrida, the 2018 Pin Oak Week III $50,000 USHJA International Derby winner, earned a fifth-place finish in tonight’s event with 2019 Faces of Pin Oak rider Frank Owens. Following the victory gallop, all riders participated in a champagne toast to commemorate Pin Oak 2019’s first International Derby. Junior riders are looking forward to the perfect springtime horse show weekend while spectators, sponsors, and exhibitors anticipate tomorrow night’s main event – the Oasis Petroleum $30,000 Grand Prix and Amalaya Investments Ringside Gala.